FOOTBALL: Saturday will be grand final in the Warwick District Football Association at Queens Park. 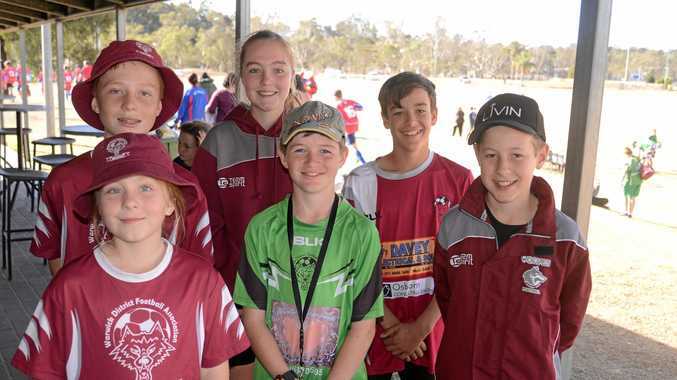 Association president Cameron Davey said the highlight of the day would be the premier grand final game between Foodworks and Urban Mist at 10.30am. "We will play a friendly in the premier grade between Danny Lyons Sports and Rob Lyons Concreting at 8.30am,” Davey said. "There will be games for all players and entertainment for children, including a jumping castle and face painting. Warwick Nice Cream has donated a free ice-cream to every junior player. "All competitions have run smoothly this season and been competitive. The four teams in the 12 years age group will play a round robin on Saturday. Junior presentations will be after each age group on Saturday at Queens Park. Davey said the association was keen to restart a women's team in Football Toowoomba fixtures. registrations@warwick wolves.com.au with their contact details.